The three biggest factors that make up your credit score are payment history, amounts owed, length of credit history. Protecting your credit score is extremely important - as we all know. A damaged credit score can prevent you from getting the loans you need, and cause companies to charge you absurdly high rates of interest for even the most basic loan. To prevent this from happening, it’s important to understand the various factors that affect your credit score. Payment History: The most important thing that credit score companies look at is your payment history. If you occasionally miss scheduled payments, then your credit rating will suffer. On the other hand, if you always manage to make your payments on time, then your credit score should be in good shape. In fact, 35% of your credit score is calculated from your payment history. Money Owed: The money you currently owe is also a major factor in your credit score. So, if you have a large amount of debt from student loans or credit cards, your credit rating will suffer. Ideally, you want to pay off the balance remaining on any existing debt before taking out new credit. The amount you owe makes up 30% of your credit rating. Length Of Credit History: If you’re young, or have never taken out credit before in your life, then it’s important to start as soon as possible. The length of time for which you’ve had credit will greatly affect your credit score, and a long history of good credit will always lead to a higher score. Length of credit history accounts for approximately 15% of your credit score. New Applications: The number of times that you fill out an application for new credit is also taken into account. So, while you can check your credit score as often as you like, you can’t continuously apply for credit without expecting your credit rating to suffer. Similarly, if you have opened up a number of new accounts lately, the credit bureau will compare the number of new accounts to your total number of accounts. If it finds that there are an unusual number of new accounts, then your credit rating may suffer. 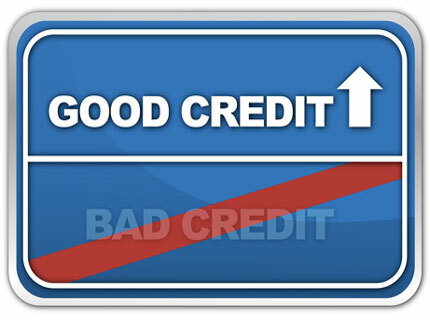 Type Of Credit: Finally, the type of credit that you use can also be important. Credit rating agencies prefer to see credit from a number of different sources, and only having credit from say, credit cards, will generate a lower score. For that reason, it’s advantageous to have car loans, mortgages, and other types of credit appear on your credit history. Why Is A Credit Rating Important? Those with a higher credit score will have a lower rate of interest on any loans that they take out. In fact, those with a low credit score, like 550, could pay almost double the interest rate as somebody with a high credit score, like 750. When you’re locking into a long-term loan, these rates can have serious implications on your financial future. Who wouldn’t want to save thousands of dollars per year on their mortgage payment? There are three major credit bureaus in the United States, and your score may differ between each one. Fortunately, you are allowed to order one credit report per year from each of these agencies. And, best of all, this service is provided free of charge. To find out what your financial future might hold, order your free credit report today. A higher credit score leads to lower interest rates on money that you borrow. A good score can be the deciding factor in the job interview process. Get credit score information delivered directly to your inbox. Our reputation depends on the security of your personal information. There will be no spam and no unwanted email.